Hi all , i have problem with connect serwer when is map etl_bergen_v1 . Game is qutinq when is loaded this map . what to do to play on this map ? do you have a error message? Start ET, dont connect to any server. 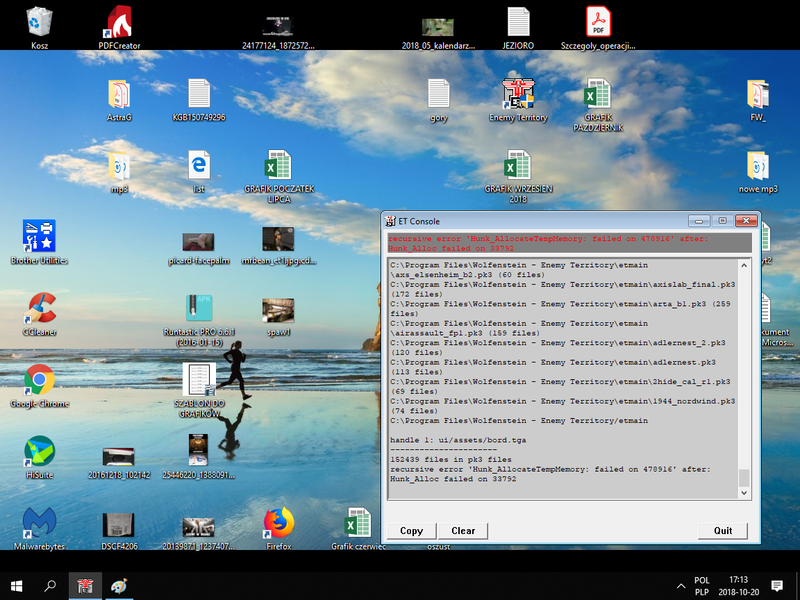 I dont have error massege , game is quit and im back to deskop on my pc. I edit my cfg now and will try . "C:\Program Files (x86)\Wolfenstein - Enemy Territory\et.exe"